While revitalization projects for communities are ever present, the PA-Leadership Alle Kiski Valleyorganization (LAKV) is looking to revitalize the community by focusing on educating community members themselves in hopes of helping them obtain leadership qualities and positions. 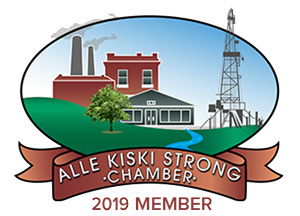 Sponsored by the Alle-Kiski Strong Chamber, this is LAKV’s 25th year of serving the community. LAKV provides a nine-month program that focuses on leadership skill building, business networking, and community service programs. With emphasis on creating community leaders in business, the LAKV seeks to assist community members in informing them of regional issues, networking, and promoting and developing more extensive levels of community activity and awareness. Those interested in the program are required to submit their application by Sept. 15. The cost of the program is $1,200 and includes a retreat, meals, and session materials. This year’s program will run from October to June, kicking off with a retreat at the Ligonier Camp and Conference Center. The class will meet once a month at a different location each time, and have a different focus each session. The topics of focus will vary from culture and community life, education, healthcare, government, law and justice, economic development, human services, marketing and fundraising. According to McCutcheon, the program also requires participants to keep a monthly blog on the sessions, as well as shadow or observe a nonprofit board. The class will also be required to create, and coordinate a fundraiser in order to test their leadership. Along with getting things started for this year’s program, and celebrating their 25 years, the LAKV also just brought Michele Pastrick on board as the new Program Manager. Applications can be found online at www.lakv.org. Details or questions on how to apply can be directed to LAKV Program Manager Michele Pastrick at 724-681-4109. Sponsorships are accepted on various tiers ranging from $100-750. In celebration of the PA-Leadership Alle-Kiski Valley’s 25th year, they are asking for alumni or personal donations in the amount of $25. Sarah Steighner is a staff writer for the Leader Times. She can be reached at 724-543- 1303, ext. 1337 orssteighner@leadertimes.com.